I am absolutely nuts about this kid. (Kid. He’s nearly 21 and I’m 23. Plus he has like seven inches of height on me.) The more I learn about him, the more I like him. Let me share the information with you. Krug attended Cathedral High School in Indianapolis, graduated with a 4.02 GPA and played for the USHL-level Indiana Ice (as seen in that photo above). In his one season on the Ice, he set a record for points in a season by a defenseman and helped the team to their first Clark Cup victory. 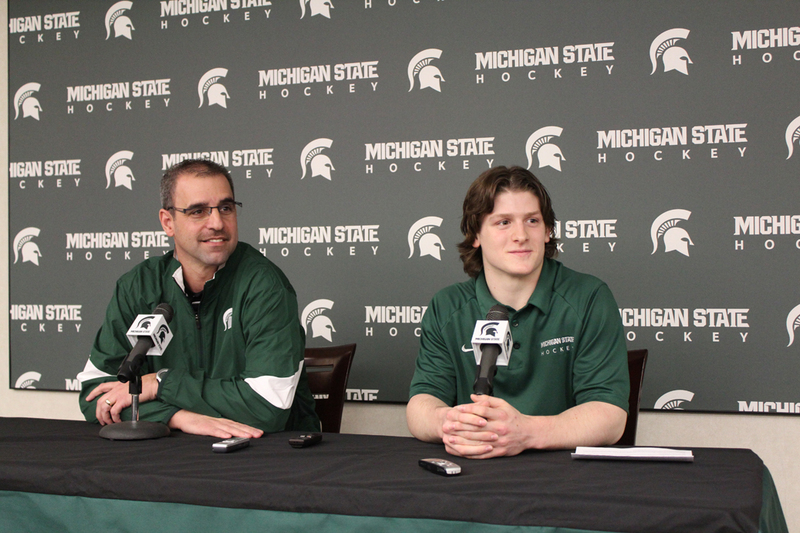 Then he went to Michigan State and joined the Spartans team, where he continued to rack up the achievements: team captain, two years running; career-best season in terms of all three scoring metrics; Hobey Baker candidate; CCHA Player of the Year; won the CCHA scoring title (shared with TJ Tynan from Notre Dame). 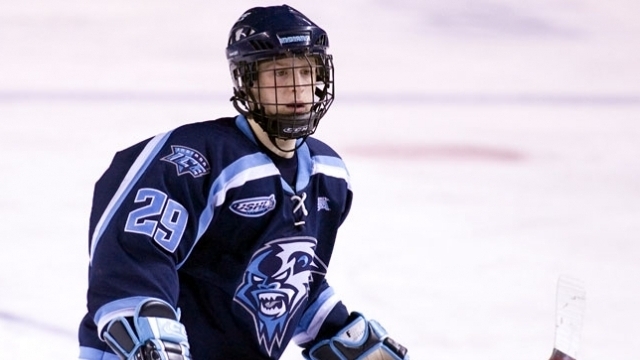 But after his junior season, he decided to forego his final year of college and shop around for an NHL team. He was never drafted, so he had the pick of the litter, basically, and he picked Boston. Krug could fit in very well with the Bruins. Befitting of a guy from Michigan, he likes Pavel Datsyuk and Nicklas Lidstrom, but he also said he tries to model his game after Zdeno Chara and John-Michael Liles (a fellow Spartan who minority-owns the Ice). 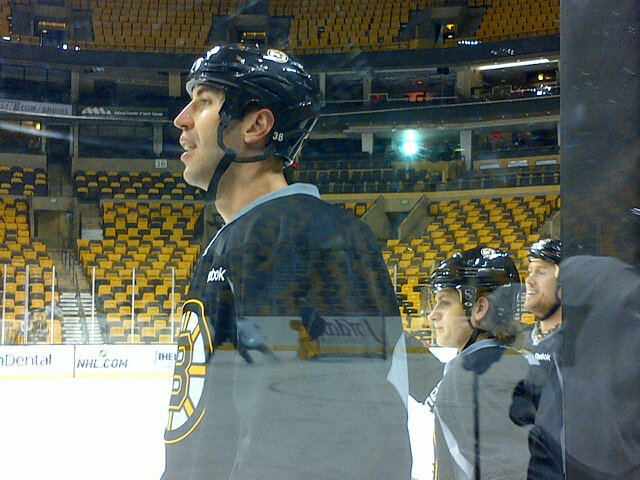 Perhaps it’s fitting, then, that in his first practice in Boston, he was paired up with Big Z himself. Chara is 6'9". Krug is 5'9". The terms of Krug’s contract prohibit him from playing in 2011-12 postseason, so he may not be seen too much outside of practice until next season. (I’m personally hoping that bringing Krug in and not sending him to Providence, unlike two other college fellas the Bruins also signed, means the eventual offseason end of the Joe Corvo era.) But he’s okay with that and he just wants to learn everything he can–the kind of attitude that probably got him that 4.02 GPA. Plus, he had to choose a new number (he was 44 in college) and picked 47, a number recently vacated by fellow Michigander (but University of Michigan alum) Steven Kampfer. He knew that significance, but said he didn’t do it because of that–he did it because he wanted to channel a little bit of Bobby Orr and Ray Bourque. Yep. He’ll fit in fine in Boston. "I did a lot of research because I am an adorable little geek and I chose Boston. Peace."